After years of promising to develop his Stony Point Marina into a condominium project with public access to the waterfront, longtime owner Wayne Corts sold it last year to Eli Hershkowitz for an undisclosed amount. “Boatels are becoming more popular in waterfront projects in other states,” said Amy Mele, Eagle Bay’s attorney. 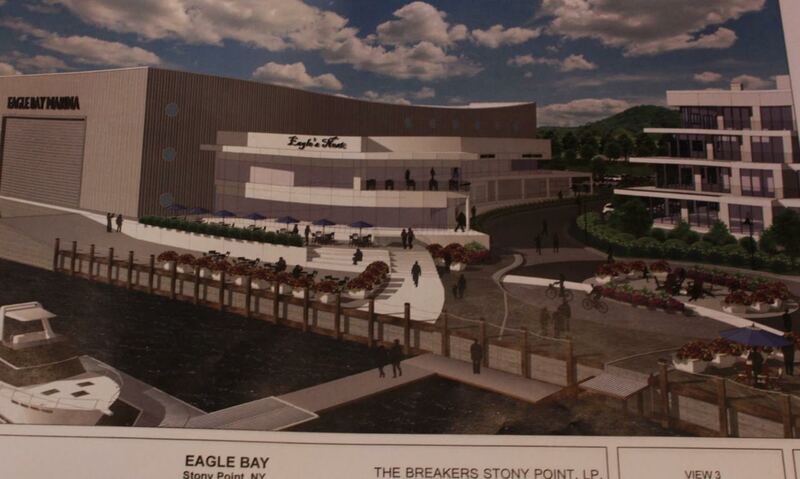 Lead planner for Eagle Bay, John Atzl of Atzl, Nasher & Zigler, PC, told the board the property will be open to the public to walk the waterfront and to enjoy the seating areas Eagle Bay proposes for public use. However, no public launch will be available at the site. “There are many places along the Hudson that have public access,” said Mele. “There is no room to accommodate trucks towing their boats down to the waterfront.” The open space committed for public use is 37 percent of the parcel. Stony Point’s planning board had many questions about the project, including how much actual retail and restaurant space will be included and where those accessing those amenities will be able to park. “Boaters will come with family and friends, during the season. If it’s not well thought out, I think it you’ll have a bottleneck of traffic,” said Stony Point’s Town Planner Max Stach. A plethora of public hearings are yet to come as Stony Point and Eagle Bay hash out a final design plan for the marina site. 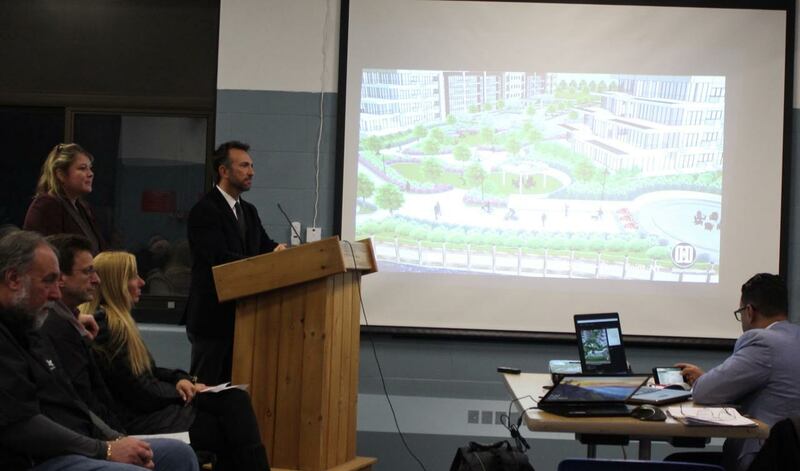 Although there was no public comment at the March 22 meeting, there will be an opportunity to ask questions at the Planning Board’s next meeting, scheduled for Thursday, April 26, beginning 7 p.m. at the RHO building.